Westminster Tree Trust has been working with the residents of Gatliff Close in Pimlico to jointly fund the planting of this splendid crab apple tree (Malus magderbergensis) in the courtyard of the Close. Westminster Tree Trust has been planting a run of chanticler pear trees on the south side of Kilburn Park Road as part of its programme to green N Westminster. 12 trees were planted in late 2015 with more expected to finish this particular planting scheme. Westminster Tree Trust is working with the Council and local residents on two new planting schemes. One is in the Westmoreland Triangle part of Pimlico in the South of Westminster and continues the scheme in Gloucester Street planted at the end of last year. 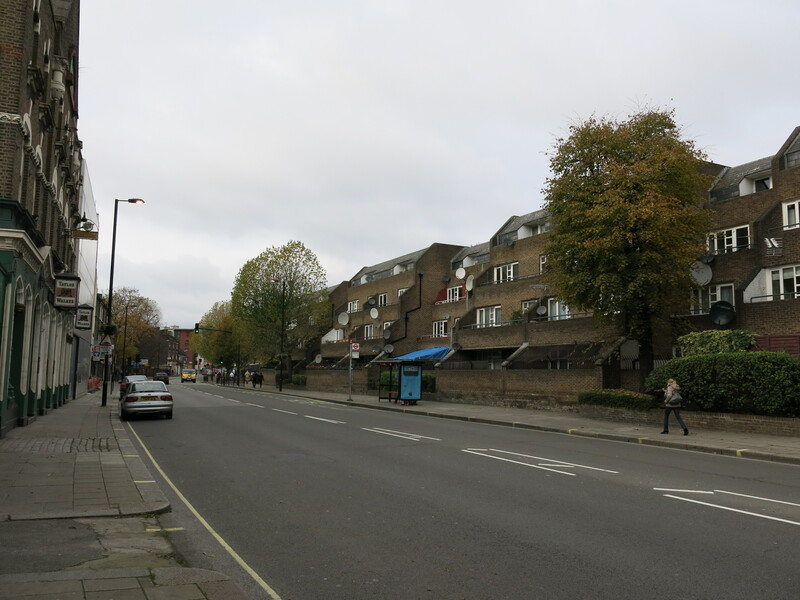 The other scheme is at an earlier stage and is intended to help green the part of North Westminster to the west of Maida Vale just south of the borough border with Brent. We look forward to working with local groups to develop these schemes. If you would like to know more, or to contribute, please go to the the “Support Us” tab at the top of this page which tells you how to donate or to get in touch. 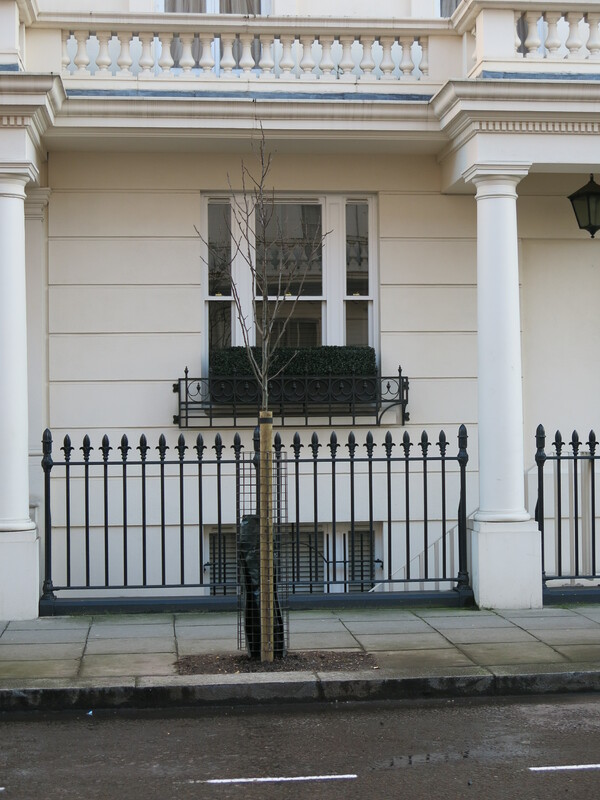 Westminster Tree Trust has been planting trees in Gloucester Street in Pimlico. We planted 10 chanticler pear trees on the south side of Gloucester Street in late 2014 and the Council is trialling planting a similar number on the north side. 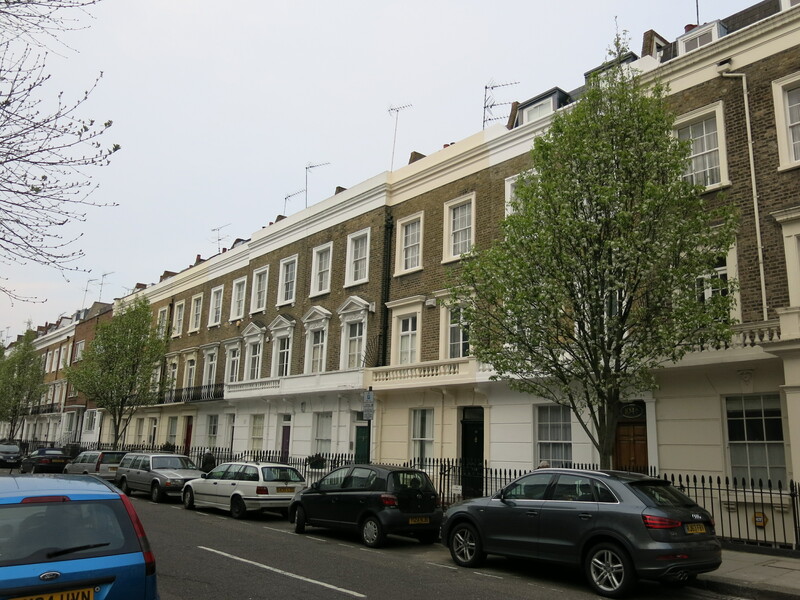 The scheme was developed with the benefit of a legacy from Mr Maxim de Soissons who lived in Pimlico and the Trust intends to hold a tree planting ceremony in the late Spring. In two or three years time, we hope the Gloucester Street trees will look like these trees planted earlier round the corner in Denbigh Street. 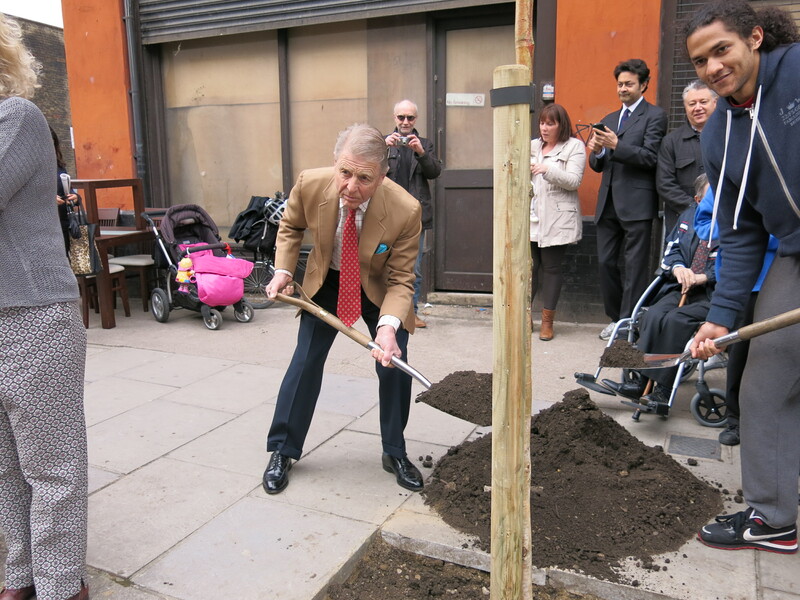 To mark the completion of the first phase of the North Westminster scheme, actor Edward Fox planted an Ermans Birch in Harrow Road on Friday 28 March. One of thirty trees planted with assistance from the Mayor’s Street Tree initiative, Mr Fox was joined by Jamal Akay (from All Stars Boxing Gym) and children from Wilberforce School in the cemerony outside the Gym. The Trust is now working with residents groups to develop a tree planting programme in North Westminster. As part of London Tree Week, Marylebone locals celebrated the completion of W1W project in Marylebone and Fitzrovia with the planting of the 600th tree, a very distinctive Liqud Amber tree, on Great Portland Street. The inner city project aims to reduce the impactof heavy traffic and make the streets a more pleasant environment for everyone. The Minister of State for Agriculture and Food, Mr David Heath MP, planted the tree with the help of children from All Souls and St Vincent’s primary schools. Local contributions raised are now well in excess of £90,000 pounds with match funding from the Westminster Tree Trust, Westminster City Council and support of the Big Tree Plant campaign. Those present included, Mark Gazaleh, who has lead the initiative, local Councillor Jonathan Glanz, Michael Bolt of the Marylebone Association and trustees of Westminster Tree Trust including Councillor Ruth Bush. The initiative was later recognised with two Re:Leaf awards for urban tree planting at London’s City Hall.